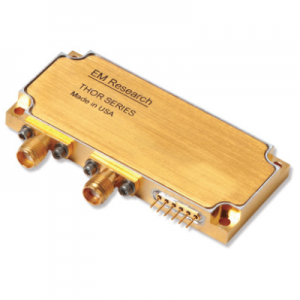 EM Research - RFMW UK, Ltd.
EM Research provide Miniature Programmable Synthesisers such as Programmable Frequency Synthesizers & Fast Switching Synth’s from 5 MHz to over 40 GHz. The company offers the most complete line-up of standard and custom-designed signal control products in the wireless industry. 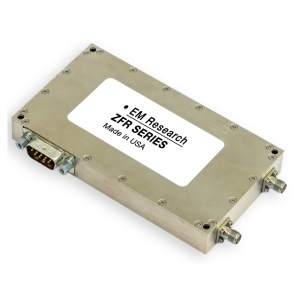 The company specializes in miniature surface-mount, modular and connectorised phase-locked oscillators and frequency synthesizers from 5 MHz to over 40 GHz.Founded in 1991, EM Research has been delivering high performance semi-custom signal sources to a broad range of applications worldwide. Since its inception, they have developed a library of over 30,000 individual products. 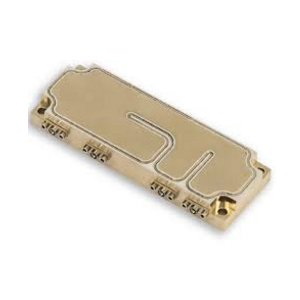 Products range from Single frequencies to multi-octave band designs excellent phase-noise characteristics and low power draw. 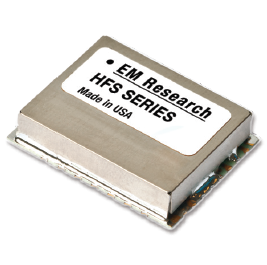 Hybrid and hermetically-sealed frequency synthesizers from EM Research are ideally suited for military vehicles, UAV, and other high-reliability, high-vibration applications. 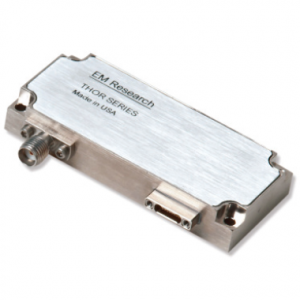 EM Research products can be supplied with RoHS compliance or lead free. Development engineering takes demo boards – Customers can purchase programming kits (demo boards, programming modules and reference modules) to assist in system design utilizing EM Research synthesizers and phase-locked oscillators. Integrate your existing breadboard for quick system performance demonstrations. Use demo boards to view layout and by-passing techniques for your PCB design. 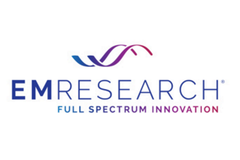 EM Research designs frequency generation and signal conversion solutions that give our clients a competitive advantage. With our innovative engineering, ISO-certified manufacturing and relentless customer service, we help clients achieve mission success.